I have been on the hunt for safer alternatives to the conventional feminine products you find in pharmacies. I have tried a few options so far (you can read all about my experience using the menstrual cup here). 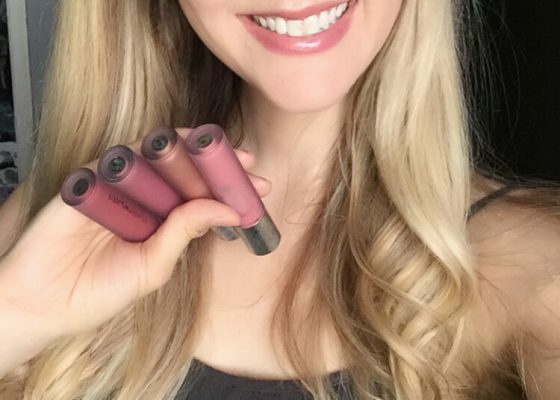 The choice to use products filled with chemicals just doesn’t resonate as a healthy choice in my mind. The fact that Toxic Shock Syndrome (TSS) is something that could possibly occur when using a conventional brand of tampons just makes my head spin. Not to mention I despise disposable pads and everything about them.. They are made of plastic, they crinkle every time you move, they bunch up causing leakage, they are itchy against the skin, they smell terrible, and are filled with chemicals used to absorb. For years now I have stayed away from pads for these very reasons even when I could have used the extra absorbency. Using cloth pads had never really crossed my mind as a good alternative.. boy, was I wrong. 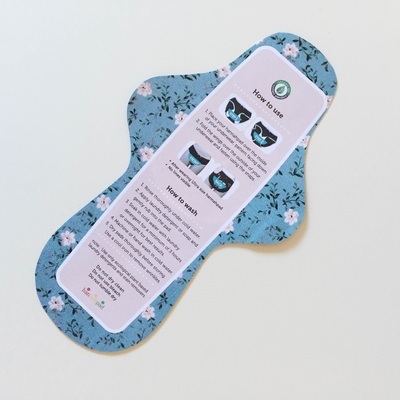 1) ORGANIC/NO CHEMICALS: Hannahpads are made of organic cotton and are not bleached or dyed in any form. They have ZERO pesticides, herbicides, and chemicals. They are incredibly safe, especially for such a delicate area. 2) COMFORTABLE COTTON FABRIC (NOT ITCHY PLASTIC): It didn’t even feel like I was wearing anything besides underwear. Unlike using plastic disposable pads, the cloth pads were made of the softest cotton fabric and I could barely tell they were there! I find the plastic from disposable pads so uncomfortable and itchy so this was a huge bonus for me. 3) COST EFFECTIVE: You only have to buy them once! Just like cloth diapering there is the added task of laundering but I barely noticed the extra task and once you rinse them with cold water, the laundry machine can do the rest! (I also save a ton of money using cloth diapers and you can see how much I save here). 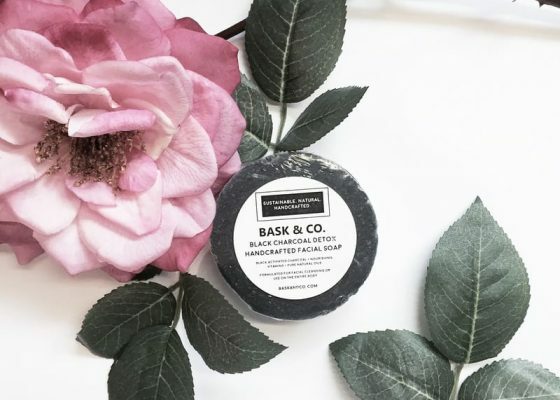 4) NO SMELL: Disposable pads use various chemicals within their pads for absorbency but these added ingredients tend to smell once they become damp. Periods do not smell (the chemicals in your disposable tampons and pads do). and neither do the cloth pads! 5) EASY TO CLEAN: Like I said above, the laundering process was not a big deal in my opinion.. I simply rinsed them in cold water before tossing them in the laundry machine. Once cleaned, you just hang them to air dry and that’s it! 6) ABSORBENT: They were just as good if not better in terms of absorbency. There are different sizing options ranging from liners all the way to super overnight protection. You just choose which pads work for your flow by purchasing individually or you can purchase various sets listed on the Hannahpads website. 7) WAY CUTER THAN DISPOSABLES: Did you see the adorable prints? Enough said. 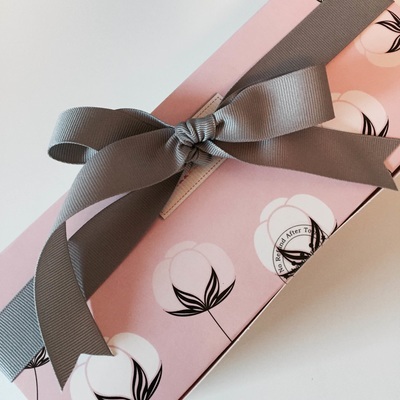 Disposables don’t even stand a chance in this category, and I’m partial to floral prints so Hannahpads really blew that one out of the water! 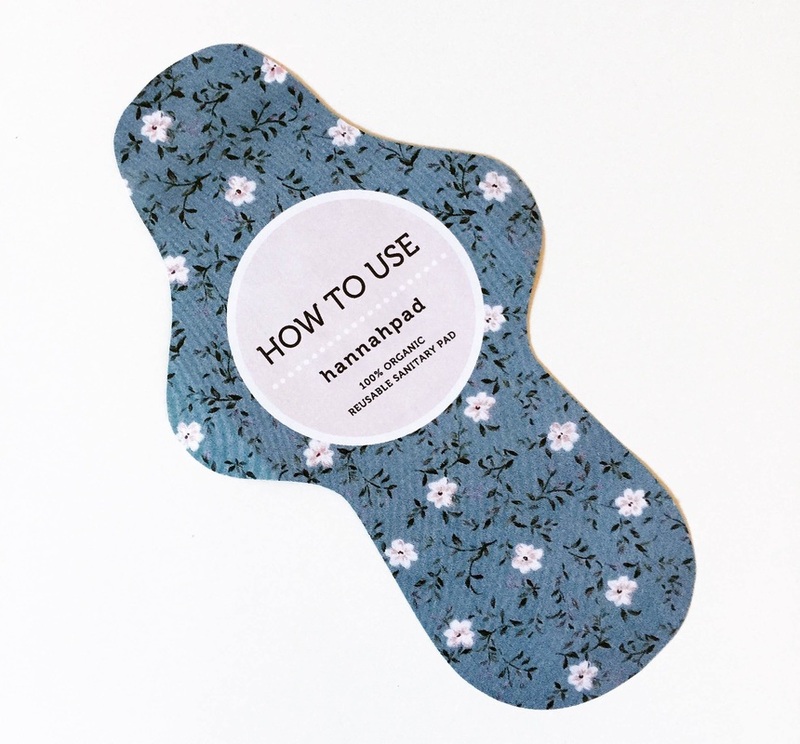 8) EASY OPTION WHEN OUT IN PUBLIC: Unlike the menstrual cup which takes a little bit of grace, patience, and humility when dealing in a public washroom, Hannapads are embarrassment free! 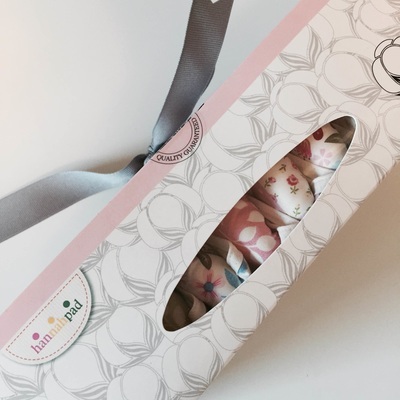 You simply fold them up using their clips and seal them in a plastic baggy or a reusable bag (similar to a diaper wet bag for babies but much smaller). Then toss in your purse and wash at home! 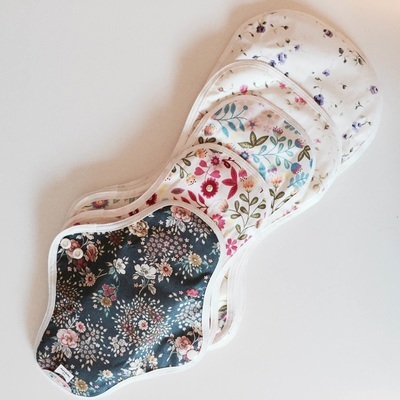 9) ENVIRONMENTALLY FRIENDLY: Cloth pads are reusable and washable and last for years. Much unlike disposable pads which are sitting in landfills and dumps and are NOT decomposing/breaking down… Gross! 10) HEALTHIER OPTION: Lastly, the most important factor in this trial was the health benefits of using cloth pads versus disposable pads. Chemicals are not meant to sit against such sensitive areas. 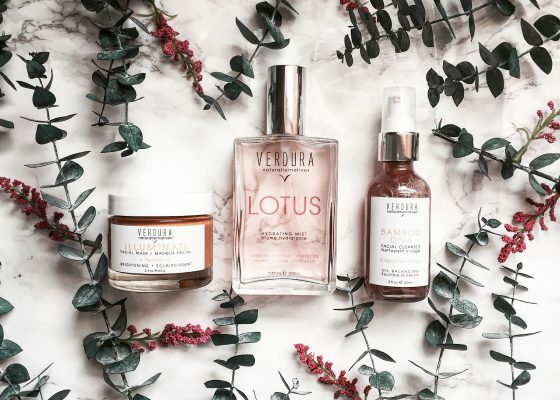 We often wonder why women have such issues with hormones, period heaviness, cramping, infertility.. but we never turn our attention to products that we are using monthly and how they are affecting all of those issues. Consider this your wake up call. They ARE affecting women’s health and thankfully it is becoming more common to use healthier alternatives nowadays. 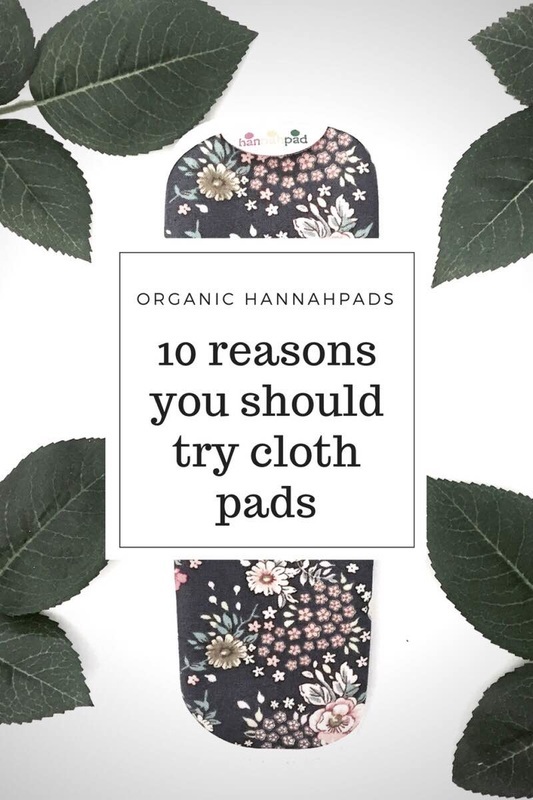 Since Hannahpads are absorbent, comfortable, cost effective, and healthy, I will definitely continue to use them when needed. I tend to use pads as extra insurance on the days when that’s needed and the liners at the end. I will never have to purchase disposable pads again which is a nice monthly savings. Not to mention I’ll never have to deal with the ugly side effects of disposable pads either. 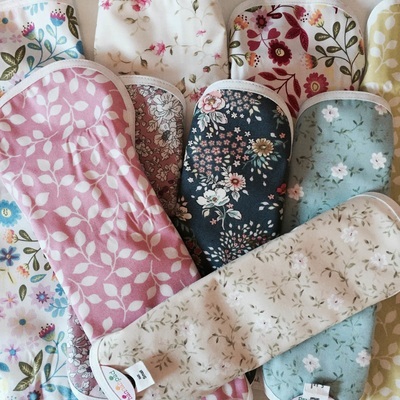 If you want to learn more about cloth pads or want to purchase your own set (or even try one or two out before committing) then check out their website at the link below. 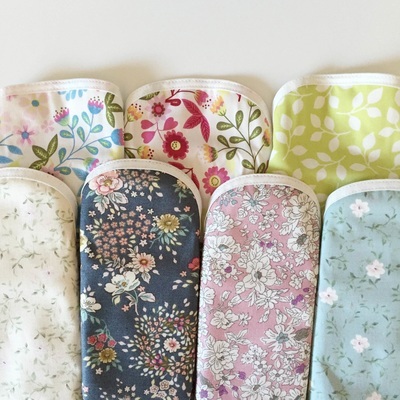 You can purchase a SAMPLE pad in size small or medium from Hannahpad (with bonus free tracked shipping) before you take the plunge and buy a whole stash! “These are super light weight and awesomely breathable option for your everyday needs with spotting, light flow, and backup protection for internal menstrual products.” -Hannahpad website.